The Seminar is a part of a series of one-day high level seminars dedicated to topics of great relevance for the global statistical community, which UNSD has been organizing on the Friday before the Statistical Commission session. The 2010 round of population and housing censuses has witnessed the highest level of participation of countries in conducting a census. With the overwhelming majority of countries having completed a census by the end of 2011, it is time to review the experiences of census taking by countries and identify the new developments observed during the round. 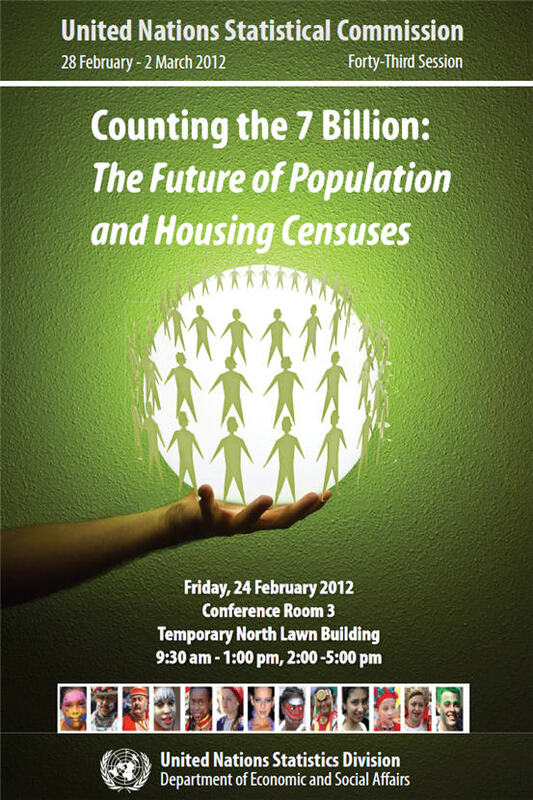 The Friday seminar in 2012 will provide a discussion forum for statistical managers to share lessons learned from the 2010 round of population and housing censuses and reflect on the likely future of census-taking. The seminar will be opened by a keynote speech on “Future of Population and Housing Censuses in Developing Countries”. It will also have three panel discussions focusing on 1) Emerging Issues in Data Collection, 2) Challenges and Benefits of Using Modern Technologies, and 3) Challenges Confronting Censuses. (iv)	Marcia Maria Melo Quintslr, Director of Surveys, Instituto Brasileiro de Geografia e Estatistica, Brasil.